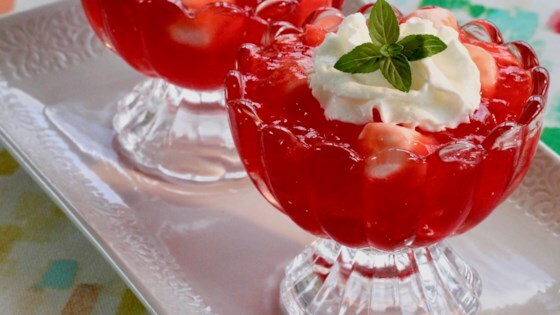 Mix strawberry-flavored gelatin and lemon-flavored gelatin together in a bowl; pour in the boiling water and stir until gelatin mixture is dissolved, at least 2 minutes. Pour the cold water into the mixture and stir until well combined. Pour gelatin mixture into a mold or leave in the bowl and refrigerate until partially set, about 1 1/2 hours. Mix strawberries and marshmallows into gelatin mixture. Continue chilling until completely set, about 2 1/2 hours more. You can substitute the strawberries for other types of sliced fruit.